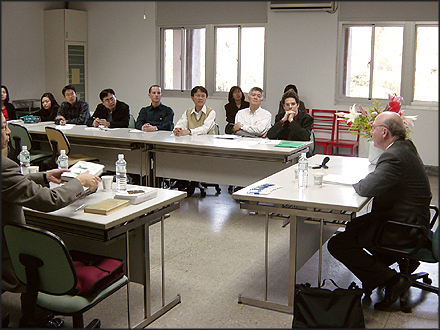 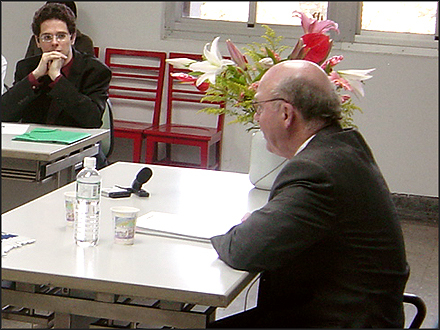 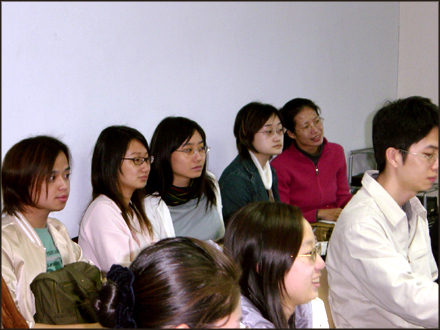 On November 19th, 2004 at 6 P.M., National Central University hosted APEX chairman of the board, Dr. Paul J. Perron, for a special lecture in French. 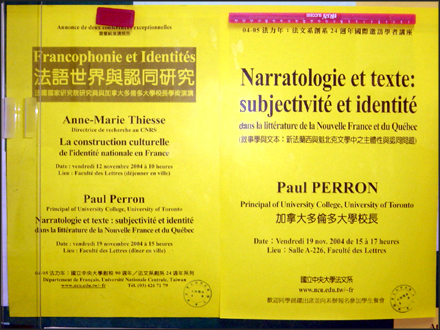 Dr. Perron, an authoritative figure in the field of French studies, spoke on the topic of "Narratology and Text: Subjectivity and Identity in New France and Québécois Literature". 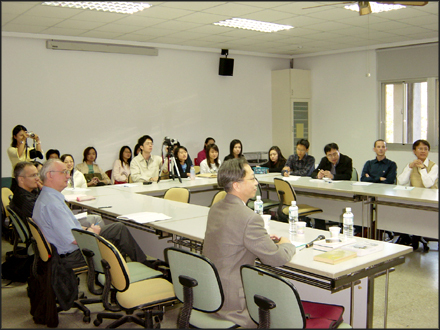 The lecture examined the unique literary perspectives held by French writers, especially abroad, followed by a question and answer segment. 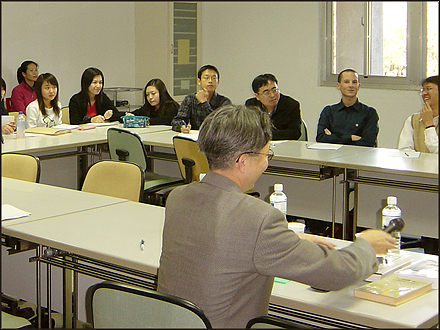 Students and faculty with an interest in French literature or French history in Canada were in attendance. 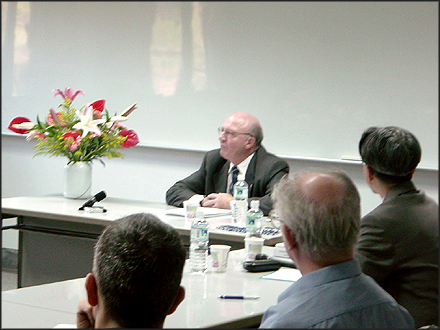 The lecture also provided guests with an opportunity to get to know the esteemed chairman, who is also currently serving as the principal of University College, at the University of Toronto.